Airbnb has done rather well for itself since an Indian design researcher named Amol Surve booked an inflatable mattress on a San Francisco living room floor in 2007, thus becoming the start-up's first guest. Today, the online accommodation platform has more than five million listings in 81,000 cities, and on any given night, two million people stay in Airbnb rentals around the world. On New Year's Eve alone, 2,574 guests stayed in castles, 1,031 in tree houses and 121 in windmills. At least 78,000 fans booked Airbnb digs during the 2016 Rio Olympics in Brazil, and two years later, seven out of 10 foreign visitors made use of the room-sharing service at the Pyeongchang Winter Olympics in South Korea. Building dozens of hotels for one-off sports events, trade conven­tions or concerts is clearly impractical, and so in cities with limited hotel capacity, or where accommodation is only required for short periods, Airbnb's flexible supply system is a godsend. Beyonce would no doubt agree. 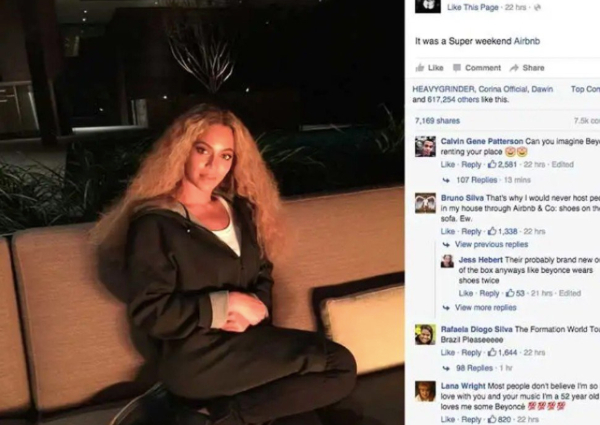 When the American singer performed at the 2016 Super Bowl half-time show in Santa Clara, California, she stayed at a five-bedroom Airbnb listing that cost US$10,000 (S$13,548) a night. Lady Gaga, Mariah Carey, Justin Bieber, Gwyneth Paltrow and Rihanna are also paid-up members of Airbnb's sharing society, but the San Francisco-based company is more than a series of statistics and celebrity influencers. Newspapers and websites frequently publish click-friendly "Amazing Airbnb Rental" articles featuring profes­sionally photographed houseboats and windmills, yurts and lighthouses. Instagrammable they may be, but it's the hosts we remember long after the trip is over. The majority are thoughtful and highly proficient - and that's before you even get to the property. Inquiry responses will be lightning fast, friendly and helpful. They realise you are likely to be tired and disoriented, might not speak the local language and will struggle to navigate a new city. They will offer to pick you up from the railway station or suggest a nearby landmark as a meeting place. Inevitably, some hosts won't be home when you arrive but they will text you with an entry keypad pin number, or tell you where they have hidden a spare door key. They will also send a short welcome message, which can be enough to reduce exhausted travellers to tears: "Let yourself in and make some coffee. There's milk in the fridge, biscuits in the cupboard and the Wi-fi details are on the kitchen table. I'll be home within an hour." Many of these hospitality industry heroes are designated as "superhosts". These are people who invariably receive excellent feedback, mainly because they care more about their guests' experience than the income from a spare room. Women over 60 are currently rated the best Airbnb hosts and 59 per cent of all superhosts are female. Lurid headlines of house trashings and even the murder of a guest who couldn't pay his bill help sell newspapers but are the exception rather than the rule. The biggest disappointment most travellers experience is when a property doesn't live up to the listing. Perhaps the photographs were misleading, or a description turned out to be false or exaggerated. Alternatively, you might be told to take a taxi from the airport. Your host never uses public transport and has no idea how you get to her house by bus, but "a cab will only be about US$70". Since the room costs US$25 a night, it is unlikely that you, a student, let's say, are going to spend almost three nights' rent on a taxi. And why are we guests so positive with our comments when we really want to say the bathroom was filthy and the decor horrendously dated? Because once they have received your feedback, the host will be writing a review about you, that's why.